Choosing the right floor for your home or commercial building will not only make it appealing but also increase its overall value. 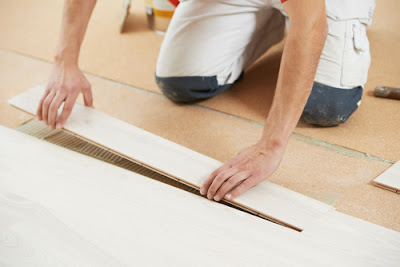 Whether you are doing a new floor installation or you intend to carry out some major renovations, you need to understand that your bathrooms, kitchen, living room, entryway, office, stairs, basement and bedrooms have very unique flooring needs. This guide will help you unmask some details you may omit as you choose the right type of flooring for your building. This is the best where the floor requires waterproofing. 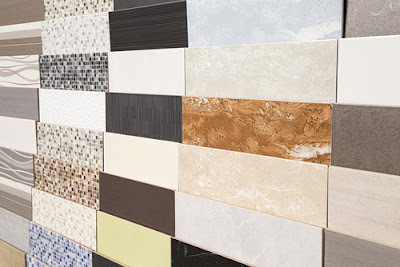 Ceramic tiles are usually used as countertops, outside or indoors. If your target area is outside, then choose ceramic tiles that have unglazed finish. This is because there is a possibility of water standing for long on that floor. With time, tiles that portray a high gloss are likely to scratch. The most common finishes include embossed, textured, gazed and matte. You can also buy those made of porcelain color through their body if you want tiles that can hide scratches. The only disadvantage is that if you choose low quality one, then thy will chip and also it could be hard to clean the floor’s grout lines. This floor type is a combination of durability and beauty when compared with the rest. You have the option of choosing Hickory, Birch, Pine, Walnut, Beech, Oak, Cherry, Pecan, and Maple among other types. If need be, this floors can be refinished. Its drawback is that with age, some floors may either darken, expand or shrink. This uses marble tiles that come in vast variations and colors. It is among the most versatile and durable tiles for your floor. It can be used on hallway columns, floors and walls. Marble tiles are easy to maintain, install and clean. Also, they allow you to engrave them with your preferred stylish designs and textures. You can choose tumbled or traditional marble tiles. Traditional ones are shiny and polished and are the best in entry ways. Tumbled ones are usually milky and beige stones that are best for large areas like combinations, dining rooms and kitchen. This floor type is not only easy to maintain, but also relatively cheap to buy. It gives you a durable and strong surface capable of resisting chipping, burns, and scratches. It comes in numerous designs and colors. Also, it highly resembles natural materials and the best for high traffic areas. If you are targeting high-moisture areas, then buy the special laminates designed for this areas. Unfortunately, this floor can’t be refinished. This is the best choice in many commercial and play areas where there exist great desire for a very comfortable standing and walking. It’s also good where one needs to save on the heating costs. This is thanks to cork’s natural insulation properties. The cost of this floor type depends on the color and the characteristics of the material used. Cork has suberin that acts as a reliable mold inhibitor and this help prevent cork floors from rotting. In addition, this floor type is fire resistant, has no toxic chemicals when burnt and very durable with proper maintenance. This is an elegant and durable flooring type that comes in numerous colors that commonly range from honey brown all through to light tan. It gives you a clean and strong surface. It’s installed to make engineered plank or solid strips and is good for the living room. You can choose vertical, flat or woven patterns. One of the floor’s drawbacks is that, it could darken when it’s exposed to sunlight or with continued use. Also, it shouldn’t be left wet. This floor type is usually made of biodegradable and renewable materials comprising of cork and linseed oil. To have vibrant colors, there is the addition of mineral pigments during their manufacture. Since it doesn’t produce any harmful gases, it’s among many environment friendly floor types. If you are using it on high traffic areas or on floating floor systems, then choose one that has a protective coating. Uncoated linoleum needs refinishing every two years. This floor type come in many textures and colors. It’s the most versatile floor type compared to the rest. To increase its durability, you need to increase the carpet’s density by increasing the number of fibers per square inch. The market offers you a variety of carpets varying in terms of their ability to withstand wear and tear. This is applicable whether it’s used for outside or indoor flooring needs. 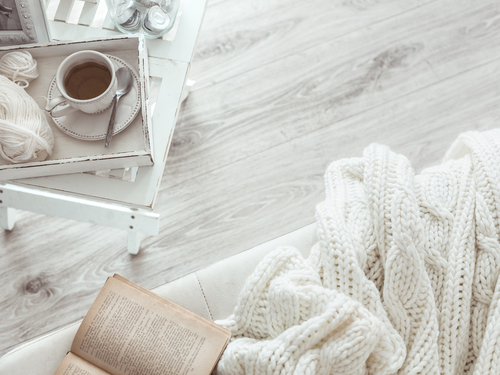 You can choose Wool carpeting that is durable, and can resist stains and moisture. It also provides great feel for bare feet. Or you can buy other carpets made of synthetic materials like Acrylic, Nylon, Polyester, and Polypropylene olefin. This is a luxurious type of floor. You can choose stone made of limestone, travertine, granite, slate, and marble. The stones ability to resist any form of staining or moisture mainly depends on how hard it is. For example, marble and granite are hard stones that need sealing every 4 to 5 years. Limestone and sandstone on the other hand are soft and require refinishing with a stone sealer every two or so years. Since polished and honed stones tend to be very slippery when wet, you have to use stones whose surfaces are hard, skid-resistant and textured when flooring bathrooms, kitchens and high traffic areas. This is usually referred to as a resilient type flooring. This floor is not only virtually maintenance free, but also durable. It’s tough and comes in numerous patterns and colors. To increase safety and comfort in the installed areas, choose cushioned vinyl that comes with a layer of foam. The upper surface of a vinly floor has a wear layer to prevent it from scratching and staining. With this in mind, you can now make an informed decision about the best type of flooring for your building.